For high resolution and/or time-lapse work with small plants like liverworts, a camera support is very useful…even essential. The camera support of course needs to be stable, and two other features are particularly useful. 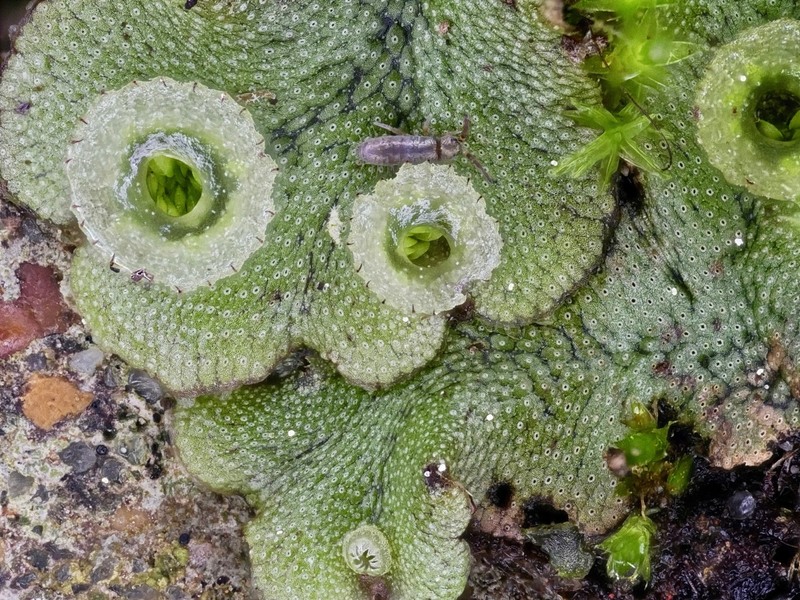 (i) Liverworts in the field are generally prostrate and could close the the ground or other substrate. The camera support needs to allow low positioning of the camera. (ii) High magnification macro work requires fine positioning and adjustment of the camera at millimetre scales. 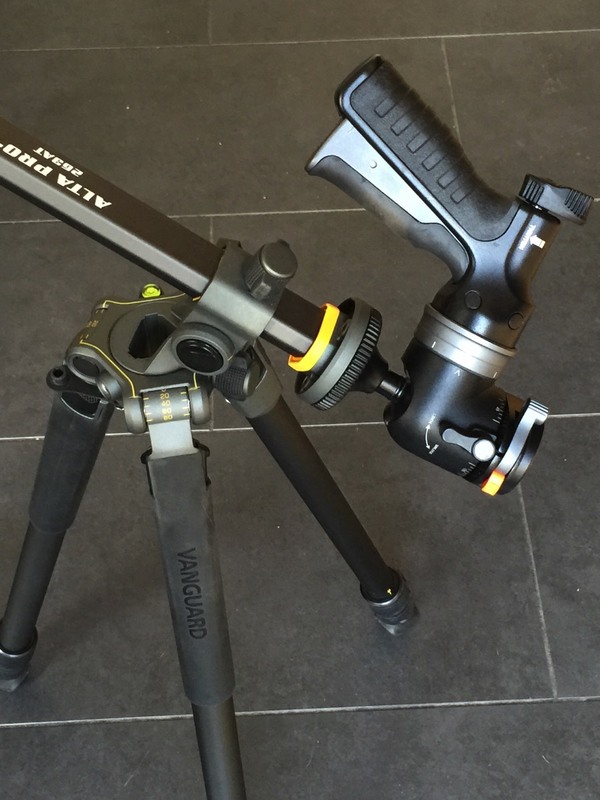 Alta Pro 2+ 263AT is a lightweight, 26mm, 3 section aluminum tripod with max pay load of up to 7 Kg/15.5 lbs. 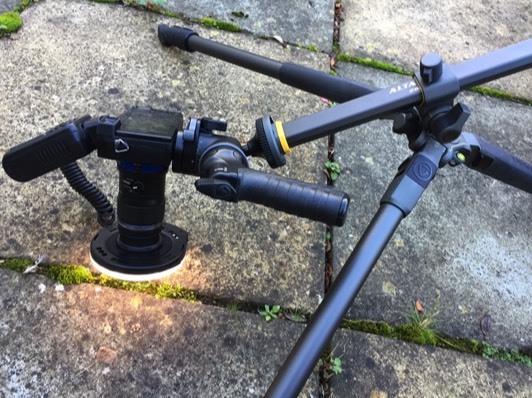 Features the MACC (Multi-Angle Center Column) it can be positioned at almost any angle from negative to positive to offer very flexible positioning of the camera. 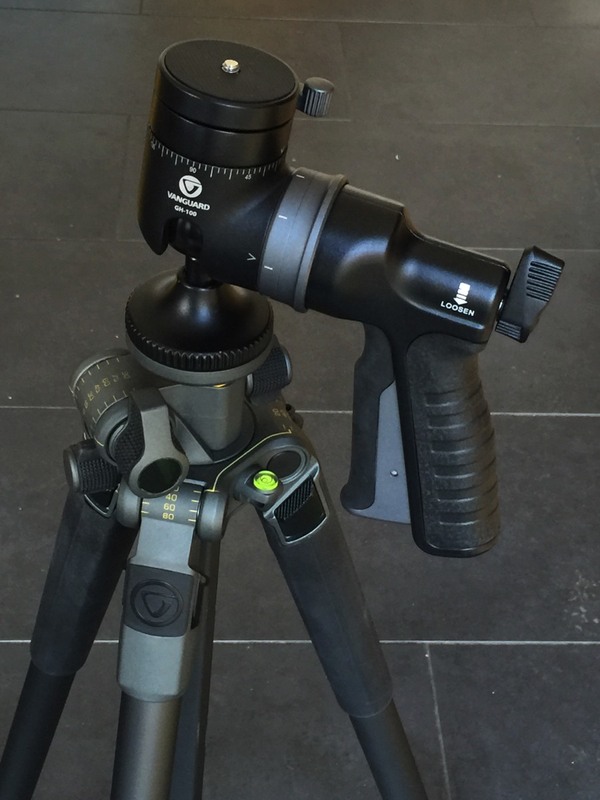 The addition of a pistol grip ball head allows simple fine positioning of camera. Macrophotography of Marchantia plants at the back door (and an insect visitor), using the tripod and Panasonic GX80 system shown above.